A good Master of Ceremonies (MC) is a must for a successful wedding or function. Most people underestimate the role of an MC, because they are responsible for far more than simply introducing speeches and making announcements. Your MC is responsible for the seamless flow of proceedings on the night. They will ensure that everything is on time and everybody knows what is happening. The MC is more than just a funny guy with a mic. Your MC will work with the wedding planners and coordinators as well as the venue, entertainment, photographers & videographers to ensure your wedding reception goes smoothly. They help keep things on time, to ensure that your guests won’t be having a cold meal and that you are not left with only 30 minutes of dancing time at the end of the night. Perhaps most importantly, your MC helps set the mood. They are confident, friendly and welcoming putting your guests at ease from the very first moment that they introduce themselves. Our DJ will also perform the MC role, making announcements and introductions. A dedicated Professional MC, which involves a greater level of involvement and entertainment with your guests. They spend time getting to know you and sourcing information about your guests before your wedding day, so that on the night they appear to be a close family friend. 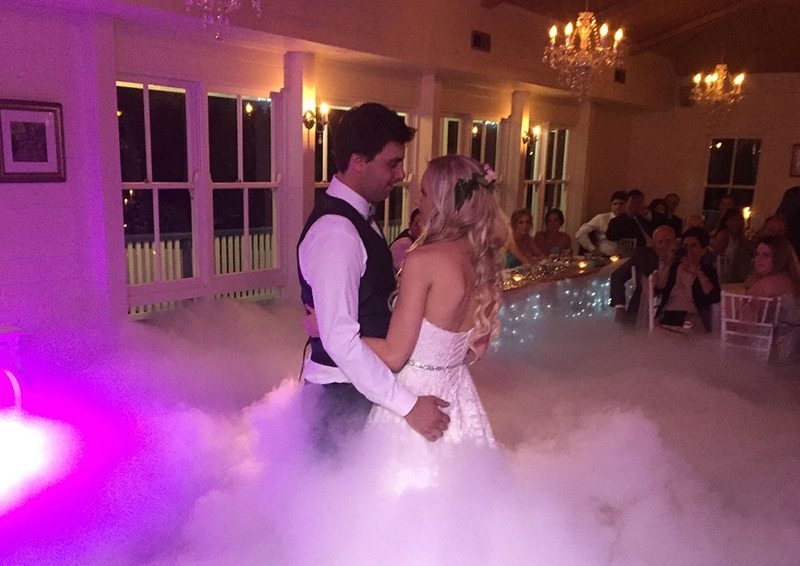 This effect involves the operation of a dry ice machine, filling the dance floor in a dense layer of low lying fog. This fog will typically be about knee high, giving the appearance that you are dancing in the clouds. It looks even more spectacular when uplit with colours. This effect will last for 5-10 minutes, and it leaves no residue. Your guests will be “wowed” and your photos will look stunning. We specialise in Wedding Lighting Design including Uplighting, Dance Floor Wash Lighting, Intelligent Lighting & Custom Monogram Lighting. 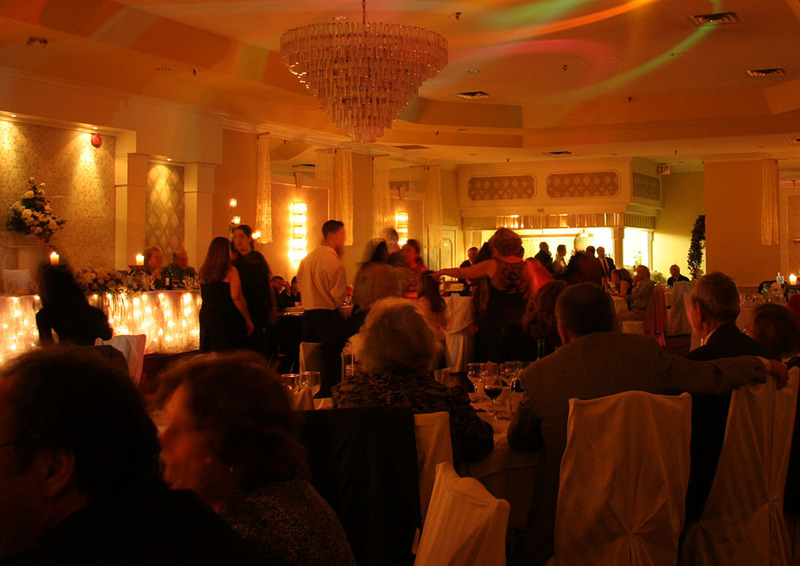 We also offer a unique and romantic Vertical Mirror Ball. 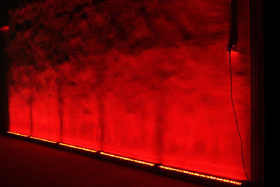 Uplighting is the foundation to any lighting design. 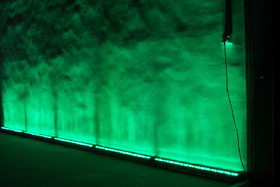 Uplighting can introduce subtle hues or rich and vibrant colours, repainting walls with beautiful effects. 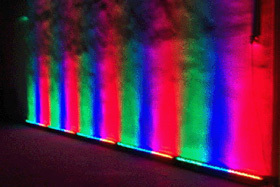 Of all the décor options, lighting design is the ultimate element that will set the tone for your wedding reception. 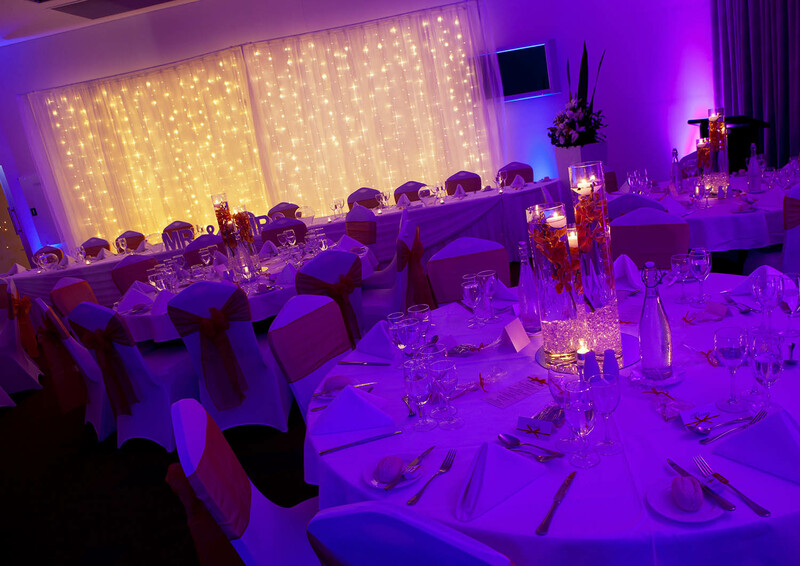 More than just illuminating a room, imaginative and well planned lighting will create a spectacular effect, transforming your wedding reception from ordinary to extraordinary, providing that real “wow” factor when your guests walk into the room.